Tropical getaway you must add to your bucket list! Even thought we have not yet decided on our honeymoon destination this tropical getaway to the paradise across the globe was much needed for both of us! If Mauritius has not yet been added to your bucket list you must add it immediately, trust me. If you're like me and love island life, beautiful nature and romantic destinations this has your name written all over it! 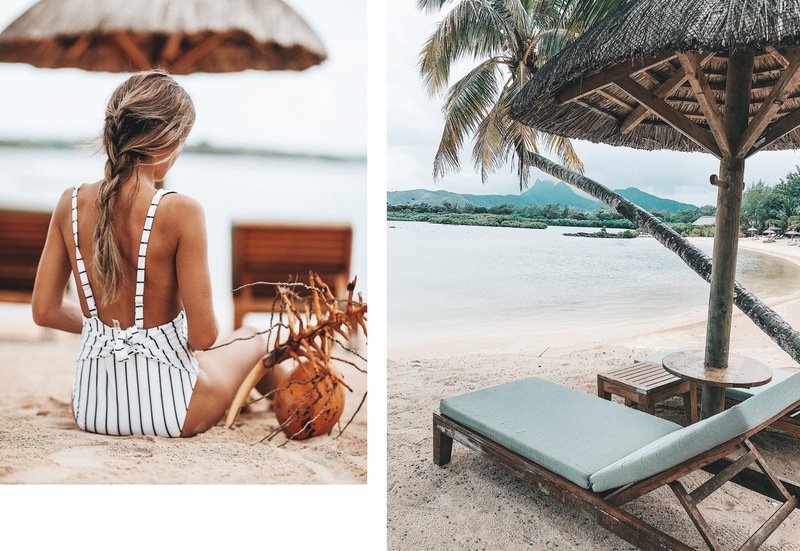 We spent six days in Mauritius and because there is so much to tell you about what to see, where to go and where to stay I've decided to split it up to two blog posts due to an overload of content and pictures. If you've been following along my life for a while or if you're new you have probably already noticed that when we travel it's never somewhere close. If Adam is able take more than a few days off work we pack up our bags and go across the globe! Because we've been to Africa before we already knew how far it was prior to booking, however this paradise is worth jumping on the plane for 20 hours for! If you look up Mauritius you'll soon see that it is one of the top destinations when it comes to romantic getaways or honeymoon. We were coming from our home in Los Angeles, flew over to Turkey, stopped in Zanzibar to check it out, then flew over to Dubai to spend a few days there having Mauritius be a last stop where we would relax and enjoy ourselves. If you don't want to make long stops and see other places around the globe on the way to Mauritius most likely your travel time will be around 30 hours, I highly suggest splitting it up and at least spending a night in each country you stop. Only major airlines fly to Mauritius so if you're worried about small, local planes there will be none involved in your trip. Once you get to the island I suggest having a hotel arrange a pick-up, especially if you don't plan on renting a car. Remember, they do drive on the left side of the road and if you aren't familiar with that I highly suggest you relax on the trip and leave the rest up to the hotel's transport. When it comes to traveling internationally I do not suggest staying at a hotel that's local or that has less than 4 stars, due to worldwide standards - 3 stars might mean there is no AC or bathroom located inside your room. Due to this we always stay at known hotels like Four Seasons that is known as one of the best when it comes to customer service and never disappoints with their rooms. Because our room was absolutely INSANE, which in case you have missed we had our own bungalow, pool etc. as you got to see on my IG stories (which now I have moved to the new feature "highlights") I've decided to dedicate a second blog post for all-things-hotel which will tell you more about what it looks like, what it offers, restaurants it has etc. 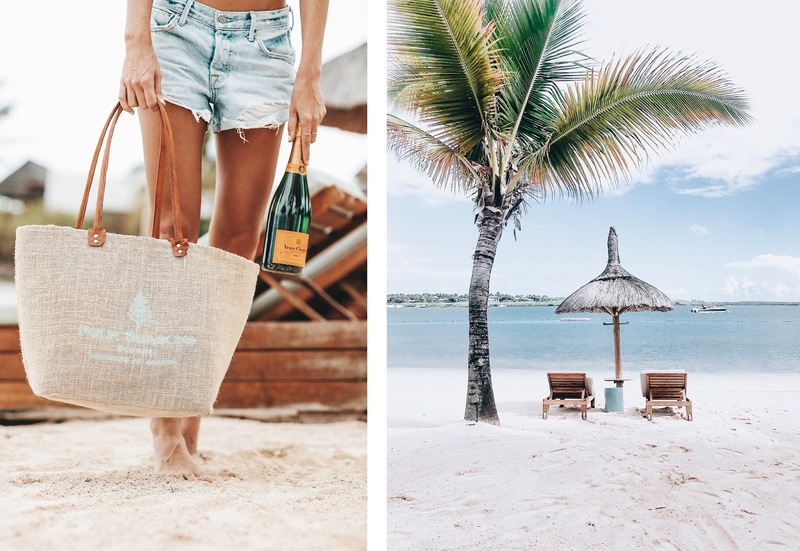 In brief, Four Seasons has it's own island that's connected to the main island of Mauritius which already tells you how large it is! I am sharing quite a few images to give you an idea of the property until I finish up the second blog post. V I S I T.
While Mauritius was on our list as a destination to relax at we didn't get to see much as we wanted to spend as much time as possible at the Hotel relaxing. Four Seasons offered all the water activities conveniently placed steps away from their main pool area in case you wanted to go take a paddle board out etc. We spent a good third of the trip at the hotel and left the last two days of the trip exploring the other side of the island which we found extremely touristy. While the other side of the island offered open ocean we preferred the side Four Seasons was on and the privacy it offered. The concierge organized us a day trip to the Safari which was super fun! We got to see lots of wild life, got to pet and play with lions and cheetahs. If you're not into the wildlife they also have other, "safer" activities where you don't get to be in the cage with animals and can see them from the car you're driving in along with other tourists. 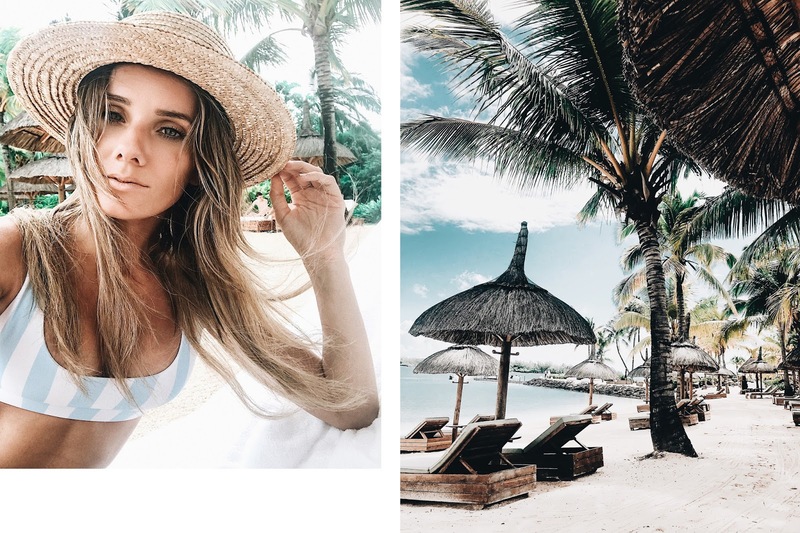 Thank you Four Seasons Mauritius for partnering with me on this post.